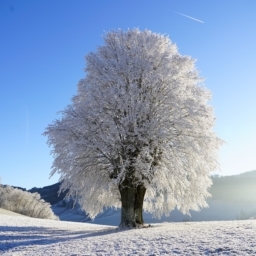 Here at Sharp Tree Service, we encourage our community to preserve healthy trees. They enhance the look and air of our communities. If necessary, we will remove any tree from your property at your request. However, some city ordinances only allow tree removal when certain situations occur. The Atlanta area is a pioneer when it comes to major cities promoting tree friendliness. The city diligently protects various antique trees found around the Atlanta metro area. One can assume it avenges the fiery trail of burning opulent Atlanta homes that Sherman left during his march to the sea. 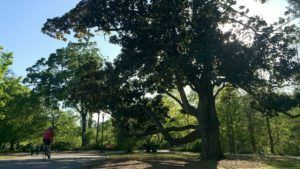 The Atlanta Journal Constitution did a story about popular trees that are beloved landmarks around town called 20 Atlanta trees you should know. This article thoroughly explains how protected trees are in the Atlanta metro area. The writer highlighted a special tree at Piedmont Park by saying, “The “Climbing Magnolia” in Piedmont Park is one of the city’s most recognizable — and most photographed — trees.” Healthy trees add personality to our communities, so most cities have created ordinances to protect them. Let’s review the different tree ordinances of a few cities located in Fulton county. This information was gathered each cities’ community website. 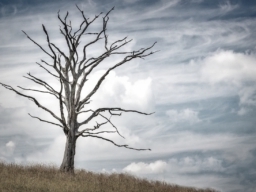 “ATree Removal Permit Application must be submitted to the City of Alpharetta prior to the removal of any tree (dead or alive) from any property within the City limits. Please contact the City of Alpharetta Arborist with any questions regarding tree removal that may not be answered below at 678-297-6229 or treepermits@alpharetta.ga.us. “The City of Roswell does not have the legal authority to require the removal of trees that are located on private property unless the trees threaten public property (public streets, sidewalks, school yards, public parks and other public property). When there is a dispute between neighbors about a perceived hazardous tree, this is a civil issue and the City of Roswell will not intervene. So, before you have a tree removed from your property, make sure it fits within your community’s tree ordinance. 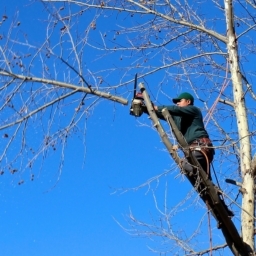 Once you confirm that your tree(s) can be removed, give Sharp Tree Service a call. We look forward to removing your tree and then cleaning up your property afterwards.